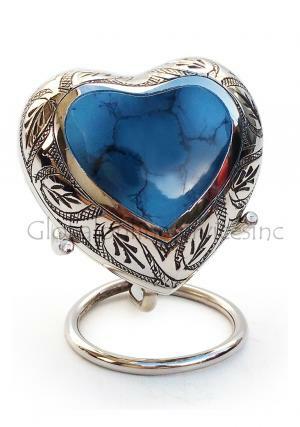 Heart keepsake funeral urn for ashes has an beautiful extract of leaf engravings and centred heart in mystic blue. 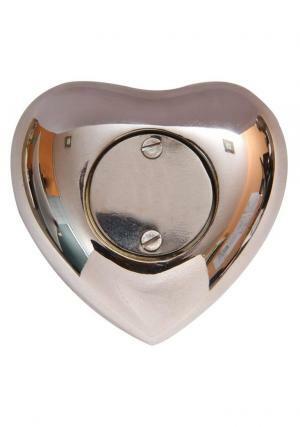 The mini engravings of leaf that bordered the heart keepsake memorial urn is finished in nickel and the urn is made of solid brass material. 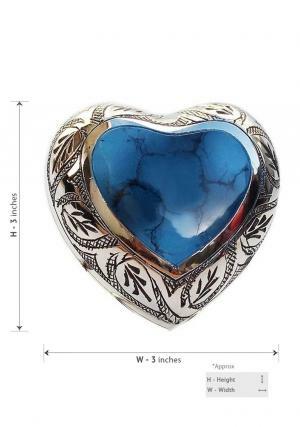 The impression on the heart keepsake cremation urn is a part of artwork from skilled urn inscriptions and will make a perfect demise storage urn for ashes. 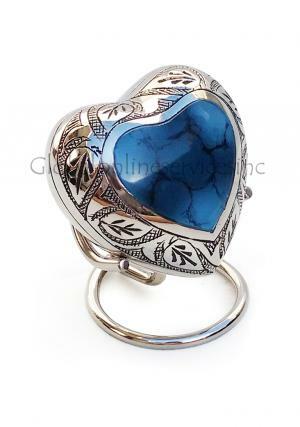 Heart cremation urn with a threading screw behind used for insertion to close the ashes. 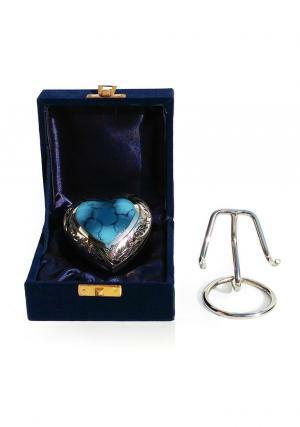 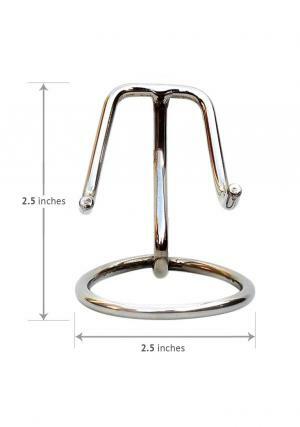 Mini heart keepsake funeral urn stores 3 cubic inches of ashes with measured 2.85” inches height and weighs around 0.24 Kg.